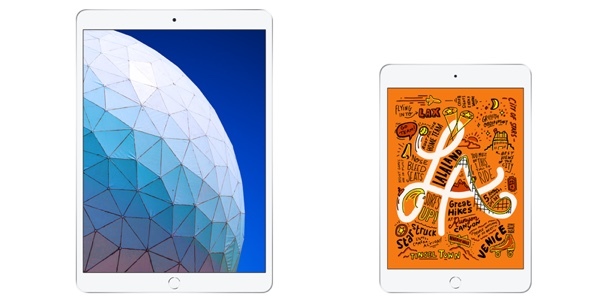 These models join the standard iPad and the 11–inch and 12.9-inch iPad Pro models. The new models feature the same basic design as the standard iPad, with a Touch ID on a Home button (no Face ID), Lighting port, and a headphone jack. The iPad Air is thinner than the standard iPad at 6.1 mm compared to 7.5 mm. Thanks for the info, Gary. We’ve waiting to hhere about a new mini. Leave a New Comment Related to "Apple Launches New iPad Air, iPad mini"